And yes, I do understand what is going on. 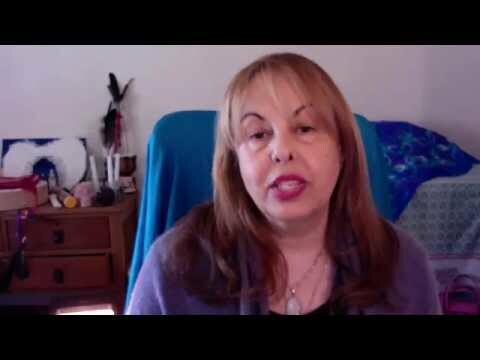 It all has to do with the Galactic Reconnection that ArchAngel Michael spoke about last month, and of course a few eclipses and a solar flare or two and a magnetic storm. But it will pass. I will explain it all to you, as I understand it, and also let you know about my recent work in Anatolia in Turkey. I left South Africa for a place called Andrasan in Turkey on the 8th of May. Andrasan is in the South East near Antalya, and the purpose of the visit was to work with a Group of Lightworkers to anchor the Light Codes of Peace and Harmony in the Middle East area, as we were as close as we cold get to Syria, Iraq and Iran. No small task, and it was certainly not an easy one for any of us Spiritual Warriors. The second part of our task was Galactic Reconnection and the opening of the Stargates in the area. Also no mean task given that some of the most powerful stargates on the Planet are in this area. I arrived in Andrasan on the 9th and on the 10th was a partial Solar Eclipse. Immediately we were into the Energy Shifts. 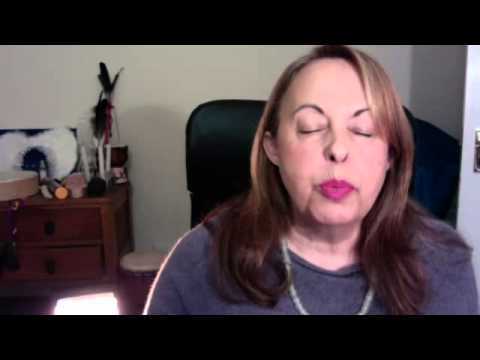 The Partial Solar Eclipse in Taurus (money, home and possessions) anchored new Light Codes that would culminate in the Lunar Eclipse on the 25th of May in Sagittarius (Spirituality and the Galactic Connection). So you can see that the energies that are being recoded all have to do with our immediate environment, our homes, our money and our possessions, and with how we relate to our Spiritual Path and the newly reconnected Galactic Energies. Everything is as it should be and it will all be ok! This current energy will climax on the Lunar Eclipse on the 25th and we should feel some relief after that point. We should have a better feeling of Trust and Flow in our lives as we allow the new energies to carry us forward. But why the intense negativity so many are feeling on such a deep level? Well, this is where the "story" of our origins comes in and why I was in Anatolia. Anatolia, in Turkey, is the home to the oldest recorded civilizations on Earth, human civilizations that is. It is, in other words, one of the first places where post Atlantis humans set up home and began the long process of creating their own civilization without the input or interference of the Beings who had set up the Stargates and used them to create their own spheres of influence on the Earth. These included Sirius at Giza in Egypt, Andromeda in the Aegean area and Nibiru in Iran/Iraq. As ArchAngel Michael explains the story of our origins, we were "created" by the Elohim angels according to the Divine Plan, the "Adam Kadmon" template. As a project of the Angelic Creator teams, we were also of interest to the Star Nations who sent their "teams" to open stargates and begin the process of interaction with humans. In this process humans evolved from Mu, through Lemuria and into Atlantis. At this time, the Energies that began to come through the Stargates became manipulative and began to attempt to take over the creation work of the Elohim. The Atlanteans began experimenting with DNA and creating hybrid humans and creatures that were abhorrent to the Elohim. We need to mention that not all the Star Nations were engaged in this kind of experimentation, it was mainly the Nibiruan energies that allowed this. The Elohim responded by closing the Galactic Connection and the Stargates. Humans were to be allowed to evolve in their own way and in their own time. No one was allowed to interfere. And so we, as humans, began our long post Atlantis journey towards our own Planetary Civilization. In our deep memory we still carry the trauma of the Atlantis Disconnection and the closing of the Stargates. This caused physical destruction on the planet as some of the Star beings had been experimenting with Geo-Engineering and had left the Earth unstable. The Elohim decreed that from this point Earth would determine her own fate according to the Laws of Free Will and Choice. In this long journey forward, humans have had to work hard to release the deep trauma of the Atlantis disconnection, to reach the point where they could be free enough to allow Galactic Reconnection as a Free and Developed Civilization. The Elohim and the Angels have guided us for thousands of years as we have found our feet. We have stumbled sometimes, as we searched in our memories for help we imagined that the Star Beings who set up the Portals were Gods, and we tried to make stories about how they created us. Of course they were not our Gods or Creators. They were and are our Equals and our Galactic Family. We have met them in echoes of our Dreams and Meditations and in the still powerful echoes of the Stargates. But now.....post 2012, the Stargates are set to open again as Humanity moves forward as Human Angels and Galactic Humans.! As the Stargates open, the Energy of Atlantis surges through the Collective Subconscious as part of the Releasing. So, there are two processes that are taking place....first the release of the old Atlantis energy with its darkness and fear, and the Reconnection to the Higher Consciousnes and Light of the Galactic grids and the Stargates. Yes, I think that would account for a fair amount of energetic turbulence and chaos, momentarily. It will clear as we move forward. So, back to us in Anatolia, one of the Seed Points for modern civilization, and ready to begin the work of Clearing and Reconnecting. In this image I am here with Nalan, my Organizer in Turkey, and Zeynep, friend and translator! Friday morning, and we set out to the ancient Village of Olympos, site of one of the oldest Temples to Zeus, an Andromedan Being who worked to guide the artistic and creative development of humans before the Atlantis Disconnection. Some of the ruins and the mountains at Olympos. The mountains are very beautiful and you feel the majesty and clarity of the clear mountain energy. This is the home of Pegasus, and you can feel his presence and expect him to appear over the peaks at any moment! Our Group poses under a tree before we head towards the Temple and our meditation. This is the site of the ancient Temple that is being excavated. The later Temple was built over the older temple. And here are members of our group after our meditation in the shady courtyard of the Temple! The meditation provided the basic energy for the rest of the week-end, and included a Solar Eclipse meditation at midnight of the same night. We were a hard working group of Lightworkers! So, please be aware that this is a very turbulent time, as we add in some Solar Flares and a Magnetic Storm to the powerful brew of Energies. But it will pass and it is all for our Highest Good. We are Healing the Past and Connecting to our Galactic Future! © 2006-19 Celia Fenn and Starchild Global http://www.starchildglobal.com - You are free to copy, distribute, display, and perform the work under the following conditions: You must give the author credit, you may not use this for commercial purposes, and you may not alter, transform or build upon this work. For any reuse or distribution, you must make clear to others the license terms of this work. Any of these conditions can be waived if you get permission from the copyright holder. Any other purpose of use must be granted permission by author. Greetings from Turkey and thanks a lot for such a nice and helpful post Celia! I live in ?stanbul and I was in Adrasan once. It's an amazing place indeed. I hope I can see you one day during your next visits in Turkey. Thank-you, Celia! Great information, explaining some strange energies around now... well said! Starchild Global, channeled by Celia Fenn from Cape Town - South Africa, is devoted to the empowerment of all who live on Planet Earth, through an understanding of Who You Really Are and how you can live a Creative and enjoyable life. The essence of living in the New Earth is to be Here, in the NOW moment, and to understand that life is an adventure of Creativity and Unconditional love. 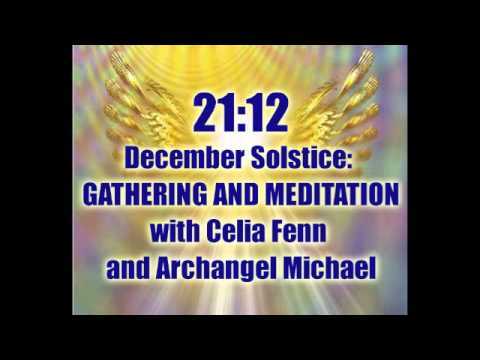 December Solstice Gathering: Anchoring the Gold Frequency on Earth.